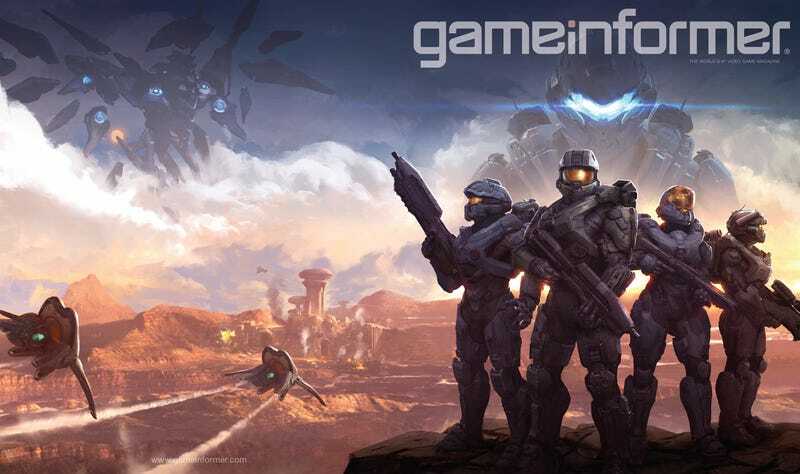 Game Informer has revealed its July issue cover featuring Halo 5: Guardians and shed some light on some very interesting things. As it turns out, the legendary Blue Team – a group consisting of the Spartans-II John-117, Frederic-104, Kelly-087 and Linda-058 – will be under the command of the Master Chief in both single-player and four-player co-op campaign. Like the Master Chief John-117, all the characters in Blue Team were abducted when they were just six years old and indoctrinated into Spartan super soldiers. This will be their first appearance in a Halo game. According to Game Informer’s article, Blue Team will interact with Chief receiving orders from him and, in co-op mode players will be able to play as specific members of Blue Team, each with a different loadout. The “hunter” of Master Chief – secretive ONI’s Agent Locke – will also have a group of his own: Fireteam Osiris. One of the members of his Fireteam is no other than Spartan Edward “Eddie” Buck (yes, Orbital Drop Shock Trooper “Buck” from Halo 3: ODST), played by actor Nathan Fillion. Buck appeared in a video Game Informer published along with the article. The article also teases of a multiplayer map called Fathom, a underwater base with loads of hidden tricks and a brand new multiplayer mode never seen before in Halo. Halo 5: Guardians is set to release on October 27th exclusively for Xbox One.